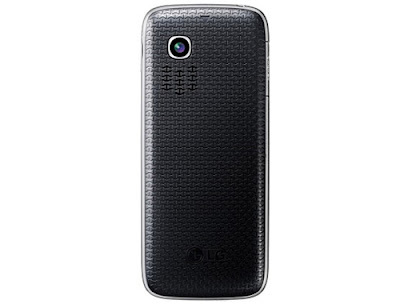 LG A160 is expected to be an interesting feather to the cap of LG Corporation. This phone is the perfect solution to those folks who have been scratching their head to find a multi-featured phone within their not-so-big price-range. This much-awaited phone is expected to be released at February 28 this year. The price is expected to be Rs 3500 so it is quite affordable and yet handy. Let’s put The LG A160 features under microscope. The LCD display screen is QCIF TCT with a size of 2.0 inches. The camera is VGA equipped with digital zooming. Video player is also included. Games, java is also enabled along with WAP 2.0/x HTML browser. The FM radio comes with inbuilt antenna. In terms of connectivity, this bar phone supports GPRS, Bluetooth, USB cable port that more than fills the gap of infrared and wireless protocol which aren’t present. This also has an ingenious feature that is photo call option. This will enable le the user to identify the caller easily by viewing his image. 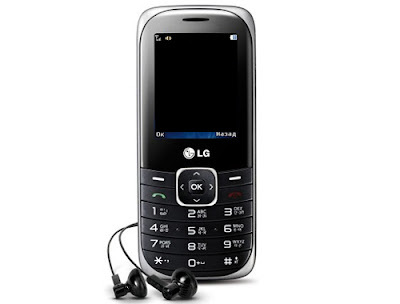 This handset also boasts polyphonic ring tones and cool music players. Now let’s shed some light on the specifications of LG A160. When it comes to dimension, it is 110mm long, 48 mm wide and 14mm thick. This bar phone has an impressive display size of 176 by 144 pixels. The0. 3 megapixel VGA camera with a resolution of 640 by 480 pixels makes sure your photography- experience is a memorable one. The camera is also capable of video recording with an outstanding rate of 20fps at QCIF. The internal memory is 1 MB whereas the external memory a lot can support up to a whooping 2GB amount of space. The memory slot also supports micro SD card. When it comes to entertainment, LG A160 will prove more than handsome. With speakers and handsets, the music player will support MP3, AAC, AAC+ formats. Powered by Li-ion 950 mAh battery, this bar phone supports an outstanding talk time of 8 hours and stand by time of 600 hours. The sales pack includes handset, battery, user manual, charger, warranty card and earphone. LG Corporation is one of the leading South-Korean conglomerates. LG Corporation mainly focuses on electronic goods, telecommunications and chemicals. The LG stands for the tagline of the company ‘Life’s Good’. With astonishing revenue of $104.3 billion, this South-Korean giant is now producing their electronics and chemical products in 80 different countries.